Before Cassandra Begay's aunt was brutally beaten to death on the Navajo Nation, before the life of Carol Surveyor's mother was abruptly taken, before 8-month-pregnant Savanna Greywind's mutilated body was found in North Dakota inspiring congressional legislation and before Denae Shanidiin's aunt was attacked and killed in her own home, there was Myrtle Bear Pete. "I remember my grandpa was there and it was cold. It was in February and there was snow—I mean a lot of snow ... My mom and grandpa were out there and everyone was screaming and crying," Pete's niece and former vice chair of the Skull Valley Band of Goshutes Mary Allen recalls of the day Pete's body was found. 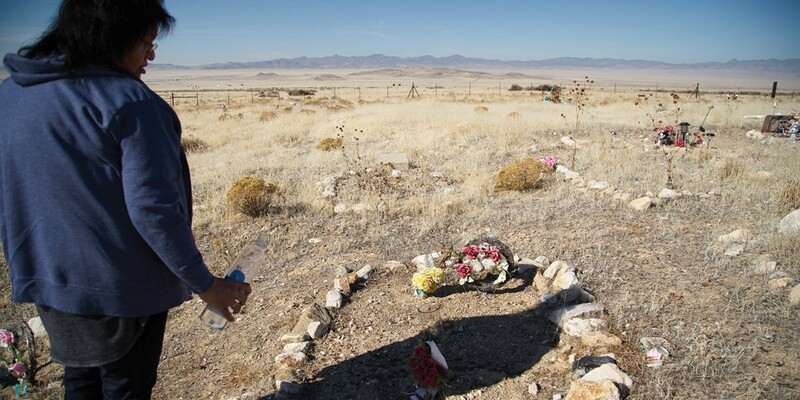 Allen was only a child in February 1967 when her aunt's body was spotted on the side of Skull Valley Road, just outside the border of the Skull Valley Indian Reservation in Tooele County. Allen didn't actually see the body, but she remembers the blood in the snow and the sorrow her mother and grandfather carried with them the rest of their lives. "My grandpa would cry all the time missing her," she says. An initial report printed in the Feb. 5, 1967, issue of The Salt Lake Tribune noted that 30-year-old Pete was found about 25 feet from the road where a large bloodstain marred the snow. She had signs of a broken shoulder, broken arm and possible broken neck, leading Tooele County deputies to hypothesize that she'd been hit by a car. The article also detailed that Pete had abrasions on her arms and mud on her shoes, as if she had been trying to walk or crawl away from the road. "My mom said she looked real beat up," Allen says. An autopsy summary published in the Trib two days later, however, reported that Pete died of exposure and didn't have any broken bones. Cuts on her arms and legs, it said, were most likely due to crawling along the frozen ground. And that seems to be where the case ends—no explanation for why there was so much blood near the road, no reasoning for why Pete's body looked so beaten and no speculation on why she would've been crawling toward her home, which was only 300 yards away. Allen says she remembers asking her mother multiple times over the years if anything came from the probe opened by then-Tooele County Sheriff Fay Gillette, and that her mother said no. "Like, why didn't they do anything, Mom?" Allen remembers asking. "Well," she recalls her mother replying, "because we're Native and we're not a high priority." Neither the Tooele County Sheriff's Department nor the FBI have records on Pete's case and the only thing Allen's family has had over the years is speculation—maybe her death was an accident, maybe someone beat her up and dumped her there, maybe it was a drunk driver. But the facts remain: No one really knows what happened to Myrtle Bear Pete. Many Native American families experience the same lack of closure. As highlighted by last year's inspired-by-true-events thriller Wind River, missing-person statistics are not compiled for Native American women. According to the Centers for Disease Control, homicide is the third-leading cause of death for Native women ages 10-24 and the fourth-leading cause of death for ages 25-34. In some areas in the United States, homicide rates for Native American women are 10 times the national average or higher, with a 2008 National Criminal Justice Reference Service report finding the highest rate of homicide in Bon Homme County, S.D., at a staggering 555.5 per 100,000 Native American women (roughly 59 times the national average at the time data was collected). And even though it's home to one small 3,000-acre Paiute reservation and a Native American population of just 2.5 percent, Iron County, Utah, had the eighth-highest rate, with 62.7 homicides per 100,000 Native women. The national homicide rate has fallen since the NCJRS report was released, but there is no current information regarding if the decrease has specifically affected Native women. High rates of physical and sexual violence plague Native communities, as well. A 2016 report also conducted by the NCJRS found that more than 84 percent of Native American and Alaska Native women have experienced some sort of violence in their lifetime, and 56 percent have experienced sexual violence. "These are not just numbers. It's not really about data, it's about human beings," Peaceful Advocates for Native Dialog and Organizing Support (PANDOS) Tribal Liaison Cassandra Begay says. "This isn't just an indigenous issue; it's a human rights issue." Begay was moved to start raising awareness about the high rates of violence and homicides committed against Native women and the lack of data resources surrounding missing Native women after a number of tragic events. She began following the horrific story of 8-month-pregnant Dakota/Chippewa woman Savanna Greywind, who disappeared from her Fargo, N.D., apartment in August 2017. After a two-week search, her body was found wrapped in plastic in a nearby river—and it was later revealed that her baby had been cut out of her while she was still alive. Begay's passion escalated after watching Wind River, in which a U.S. Fish & Wildlife Service tracker and an FBI agent team up to solve the murder of an Arapaho woman found on the Wind River Indian Reservation. Two days after seeing the film, Begay got the call that her aunt had been found in the Arizona portion of the Navajo Nation. Her death was being treated as a homicide. "We still don't know who did it to her," Begay says. "They had a couple of ideas after, but they never arrested anybody." Through being involved with PANDOS, a Native-led activist group aiming to empower indigenous voices, Begay met Carol Surveyor, co-founder of the Utah League of Native American Voters and former Democratic congressional candidate who ran against Rep. Chris Stewart. Surveyor originally hails from Shiprock, N.M., but moved to Salt Lake City after her mother was murdered just inside the Utah border of the Navajo Nation in 2015 to be close to the trial of her mother's killer. Surveyor spearheaded a movement within PANDOS to form the Missing and Murdered Indigenous Women committee, and as she and Begay formed meetings with other women, more and more stories emerged. "I've had conversations with mothers recently who have been looking for their daughters. So this is a common conversation," Begay emphasizes. "When you consider your friends and family—how many of your family and friends have been murdered? But when you talk to Native American people, it's a common thing. They know somebody that has been murdered, either personally or their friends know someone who's been murdered or who is missing. It's a very common issue." The man who killed Surveyor's mother took a plea deal in October 2017 and was sentenced to 22 years in federal prison. Surveyor left Utah after the trial and was unreachable for comment for this story. But even in her absence, the MMIW coalition moved forward. Meeting roughly every two weeks at the Utah Chapter Sierra Club offices, the group fluxuates between a dozen to 20 or so attendees who are a mix of Native Americans hailing from tribes all over the country and non-Native allies. 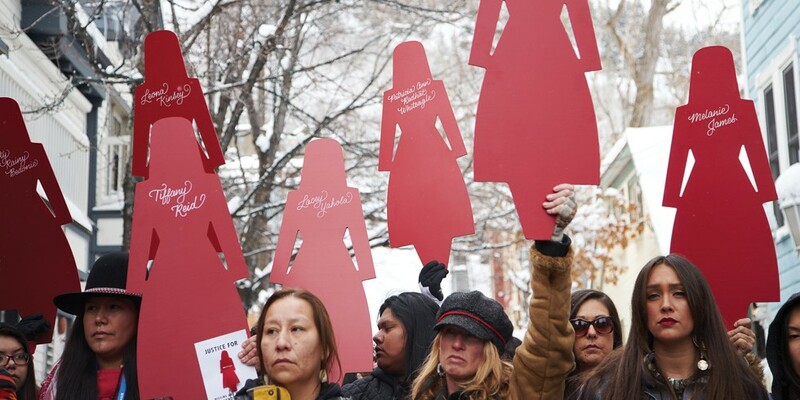 Their biggest event to date has been an awareness gathering that took place during this year's Sundance Film Festival where around 100 people marched up and down Park City's Main Street carrying signs of loved ones who have disappeared or have been murdered, as well as red doll-shaped cutouts, the symbol of their MMIW movement. The event cemented the impact the initiative was having with the local Native American community for Denae Shanidiin, a Diné (Navajo) photographer who is part of the MMIW visual team. "We saw actual families who didn't come to our meetings and it was like, 'This is why we are doing what we are doing,'" she says. "Families have reached out to us and said 'Thank you for what you're doing.' Even Native men have said 'This is healing for me.'" Supporters at the gathering included the family of Kailey Vijil, who was 12 years old in 2015 when she was lured from her West Valley home by a teenage neighbor who raped and killed her. The family is part of the Goshute Nation, and carried signs and T-shirts with Kailey's picture on them, speaking briefly to the crowd about the pain that remains with them. Just days before the march, Kailey's killer, now-18-year-old Jayden Sterzer, was sentenced to remain in a secure youth facility until the age of 21, when he will then be sentenced in adult court for his guilty pleas to murder and sexual abuse of a child. But the event reached more people than just those directly affected by murders and disappearances of indigenous women. "Famous celebrities attended our rally and helped spread our message, resulting in an impact of 80,000-plus interactions on social media," Begay says. Debra Messing and Imagine Dragons' Dan Reynolds were among the celebrities sharing photos of the event on their social media channels. The rally ignited a spark of conversation surrounding missing and murdered indigenous women for those who felt like they couldn't talk about these tough issues. 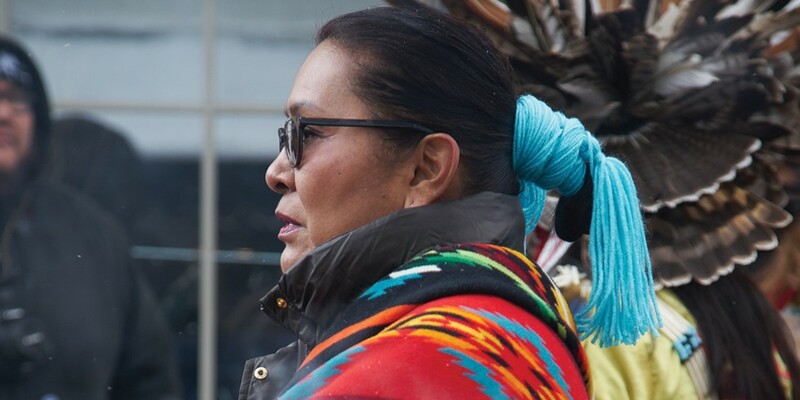 "This march was a point of healing for a lot of people," says Linda Jim, a council member for the Native-led clean-air advocate group SLC Air Protectors. Carol Surveyor's mother was Jim's sister-in-law, and both women have been vocal about her death. "I think people are coming out a little bit more. For a long time they didn't want to talk about it. I think it's very painful and hurtful," Jim says. "But I think now they're rising above that." "A lot of times, culturally, Native people, they're not really boisterous about family issues or about things that happen in their communities," Begay says. "But I'm not one to just sit back and not say anything because I feel that's part of the problem ... That's maybe why a lot of people don't know about this issue." Jurisdictional authority surrounding Indian Country is murky and breakdowns in communication between law enforcement agencies is common. The confusion is something Wind River depicts in several scenes including one where the coroner logging the autopsy of the main murder victim can't list her cause of death as homicide because she technically died of exposure. He does comment that her death can be construed as murder with the extenuating circumstances, but the frustrated FBI agent remarks that she won't be able to get an investigative team to the scene and that she'll be recalled to her field office unless the cause of death is listed as homicide, because that's the crime that falls under FBI jurisdiction. Later in the film during a heightened 10-person standoff between a tribal police officer, the FBI agent, county deputies and private security personnel at a drill site, everyone points weapons at one another, screaming about who has jurisdictional authority on reservation land that is leased to a private company. These dramatic scenes are poignant because they accurately represent the bureaucratic nightmare that is allocation of authority. Unlike the majority of the United States—where jurisdiction is decided by municipal, county or state boundaries—jurisdiction on Indian land is determined by the seriousness of the crime. Tribal police, Bureau of Indian Affairs officers (if a tribe doesn't have its own police force), the FBI or (in certain states) state law enforcement can investigate a crime committed on a reservation depending on the offense. Most likely, first responders to the scene are tribal police or possibly BIA. These officers can initiate an investigation, but if it's determined that the crime falls under FBI jurisdiction (for example, homicide), the crime scene has to be maintained by first responders until the agents arrive. A 2007 Amnesty International study found that figuring out whose authority a potential case falls under often leads to slow responses from law enforcement or, possibly, no response at all. When a federal action is warranted, getting the FBI to the scene can take hours, as agents come from urban field offices far removed from reservation lands—the Salt Lake City field office sends agents to areas in Utah, Idaho and Montana. And as anyone who has worked in crime knows, time is of the essence. Offenders could slip away and crime scenes could be disturbed by weather or other external factors, resulting in lost evidence. The No. 1 reason the United States Attorney's Office declined to move forward with Indian Country prosecutions in 2016 was lack of admissible evidence. Agency authority aside, the rural nature of many reservations and the lack of communication resources to report crimes in the first place prevents authorities from responding in a timely matter. On larger reservations, a tribal officer could be assigned an area of several hundred square miles and smaller reservation departments might only consist of one on-call officer. Tribes are often underfunded and officers ill-equipped and lacking proper training to handle serious crime scenes. FBI agents can be bogged down with case loads, as well. 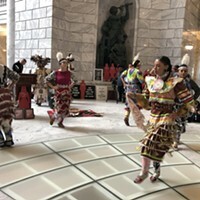 Salt Lake City is one of just four field offices handling approximately 75 percent of all Indian Country cases, equating to hundreds of cases for each office every year. The bureaucratic maze doesn't end there. Who can prosecute whom for what crime is determined by a number of statutes based on the aforementioned jurisdictional authority and whether the offender and victim are Native American with federally recognized status or non-Native. The 1978 case Oliphant v. Suquamish Indian Tribe mandated that tribes have no authority at all over non-Native perpetrators (though the Violence Against Women Reauthorization Act of 2013 provided federally recognized tribes with special criminal jurisdiction in certain domestic-violence cases if their tribal courts meet specific standards). Even if tribal courts can prosecute, federal law prohibits them from sentencing a defendant to more than three years in prison, so tribes will often request outside prosecution. The Feds can also refuse to take cases at all if they feel the crime doesn't fall under their authority or if it might be resolved through other channels. And if the USAO decides not to move forward with prosecution or terminate an investigation, victims and families rarely get an explanation as to why their cases get closed. The result is a cycle of apathy and under-reporting. "Native women are not often seen as worthy victims. We have to first prove our innocence, that we weren't drunk or out partying," Carmen O'Leary, coordinator of the Native Women's Society of the Great Plains in South Dakota told Indian Country Today Media Network in 2016. She referred to the 2015 kidnapping of Edith Chavez, a woman from the Lake Vermilion Indian Reservation in Minnesota who escaped her abductors and wandered around rural North Dakota for two days without food or water before being taken to the police by a local man. When she arrived at the police station, however, officers refused to take her statement and instead did a background check, booking her for an unpaid parking ticket from 2011. Charges were eventually dropped but not before the department released a press release stating that Chavez had smelled of alcohol at the time of booking and had been to a casino, though neither of those events was logged in her arrest notes. 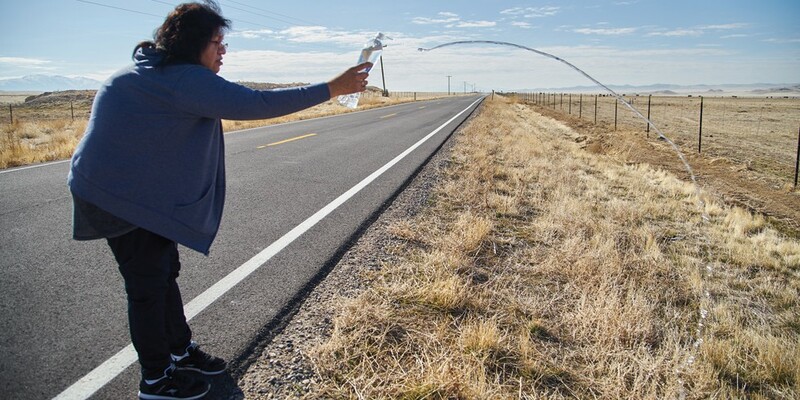 "I think what happens is evidence falls through the cracks and there's a disconnect between tribal police law enforcement ... federal government and state jurisdictions," Begay says. "Often times Native communities don't come forward about these types of things that are happening in their community because it falls on deaf ears and they feel like no one will help them." There are a few politicians acknowledging the plight of Native women. After Savanna Greywind's body was discovered in North Dakota, investigators found her baby alive and well with her neighbors, who tried to pass the child off as their own. The couple was arrested and the trial is ongoing. Greywind's bizarre case spurred North Dakota Sen. Heidi Heitkamp to introduce Savanna's Act into Congress, which is currently awaiting vote in the Senate. The bill aims to clarify the roles federal, state and tribal governments play in homicide and missing persons cases, provide resources directly to tribal governments, and increase coordination among governments in order to collect data related to missing and murdered indigenous women. It mandates consultations between the attorney general and tribes and requires standardizing response protocols as well as producing annual reports with detailed statistics and suggestions on improving homicide and missing persons rates. Begay is all for this type of legislation, and would like to see it implemented on a local level. "I would like to see accountability on all parts. [Governments] need to be meeting regularly and have a better relationship with each other about these issues," she says. "That could look like meeting every month to talk about this issue and working together in sort of a partnership to identify the problems on why these rates of violence are so high and identify solutions on what could be preventative measures." SLC Air Protectors' Jim would also like to see stronger government intervention, especially on reservations, where she thinks laws and punishments aren't strong enough. "For one thing, people need to wake up. They need to stay awake and go to the government and start pushing for stricter laws," she says. "It all comes back to the people. They need to start making noise." On rural reservations, if someone goes missing, it's common to hear nothing about it. "You don't really know about things unless you go to the grocery store and run into someone," says PANDOS Education Chair Rose Yazzie, a Diné elementary teacher. "You only heard about it through word of mouth." Yazzie now lives in West Valley City, but taught on the Navajo Nation when 11-year-old Ashlynne Mike was abducted and murdered there in 2016. That, Yazzie says, pushed residents into action on social media channels during the search. "People woke up," she says. Instead of just spreading the word about the missing girl via neighbors and word of mouth, residents took to Facebook, posting Ashlynne's picture and live broadcasting the search. Facebook pages and Instagram accounts like @navajonation_missingpersons dedicated to spreading information about current missing persons have popped up around the internet. "I think having things like social media have been huge. They have been so huge," Yazzie says. "I just think about the ways people responded to Ashlynne Mike ... there was immediate help for this family." Ashlynne Mike's tragic death brought to light another startling gap in how missing-persons cases are treated in Indian Country: There's no Amber Alert system. Due to the amount of attention her kidnapping received, Arizona Sen. John McCain sponsored the Ashlynne Mike Amber Alert in Indian Country Act, which would make tribes eligible for Amber Alert grants and help them integrate state and regional systems in their areas. The bill has passed the House and Senate without amendment. Federal law mandates that when a child goes missing, police must file a missing persons report in the FBI's National Crime Information Center database. But there is no mandate for police to submit reports for adults. Filing with the NCIC requires special access portals, so families can only file themselves if they have access to those portals. Most of the time, though, they rely on police to file for them or contact federal authorities as a courtesy. No official data collection has ever been done on missing Native American women, which is emphasized at the end of Wind River, where the final shot is superimposed with the words: "While missing person statistics are compiled for every other demographic, none exist for Native American women." Director Taylor Sheridan told Newsweek in July 2017 that he wanted to include specific statistics about missing Native women at the end of the film, but the data just doesn't exist. "I had two attorneys spend three months trying to get that statistic. But no one knows how many are missing," he said. Yazzie helps research and compile statistics for the various MMIW committee campaigns, and she also feels the frustration from lack of data. "It was hard trying to find statistics and information," she says. "It was like I don't even exist in some of these states. We're not even on their radar. It was really dehumanizing a little bit." Which makes it unsurprising that many Native people feel they can only rely on word of mouth and social media to garner attention about their missing loved ones—they might get results faster by spreading information themselves. Even if they go through official channels with tribal police, less than 12 percent of tribes are equipped to share criminal data electronically with other agencies. Yazzie also thinks navigating sovereignty and jurisdiction issues contributes to the reasons why there is no national inquiry. "I think that's one of the main things that [PANDOS is] trying to do. How do we put policies into place or legislation when it crosses all these things?" she says. "I think that's one of the reasons there's not a national database or no way to nationally track it. Some tribes do, some states do, but it's not consistent." Begay even suggests providing training for tribal law enforcement so they can be better equipped to handle sensitive evidence and collect statistics accurately. "We need to be tracking the data. At the very minimum, I'd like to see these governments work together to create a database and take a look at why there's no database," she says. Linda Jim thinks joining together in their dedication will help strengthen their cause, and that their passion comes from somewhere deeper. "I think we're being guided by the spirits. How else would we feel so strongly about it?" she says. "We always go back to our ancestors. I think the majority of women who are taking on these issues, they're driven by that." The MMIW committee emphasizes that violence doesn't just affect Native women and encourages people from all races and genders to join their campaign. "We're just a bunch of human beings that care about this issue," Begay says. "Are we experts in this? No, but do we care about other human beings? Do we care about our sisters, our aunties, our mothers? Hell, yes, we care about our neighbors." The bi-weekly MMIW meetings are attended mostly by women, but the coalition is aiming to incorporate more men into the dialogue. Although the vast majority of Native women who experience sexual and physical violence do so at the hands of non-Native perpetrators, violence between Native men and Native women is a substantial problem in tribal communities. "It's one of the most painful things to see Native men be violent on Native women," MMIW visual team member Denae Shanidiin says. "For us, it's genocide on a whole different level. I'm not sure how to put that into words, but it's really painful to see." Shortly after her mother passed away, Mary Allen was confronted by one of her brothers while sorting through her mother's possessions. "All of the sudden, he came and he hit me ... and I could see it in his eyes that if he had to, he'd kill me," she recalls. Allen's other siblings intervened before things got too serious, but she says for many women, there is no coming back from a physical confrontation like that. She says she'd like to see more tribal domestic violence and mental health programs for both women and men: "Sometimes, you never really know what's going on with the men." "It's equally about the men as it is the women," Shanidiin says, and incorporating the matriarchy many tribes traditionally observe is important. "As women, I think we need to lead the discussion in that," she continues. "If I'm going to heal, you need to heal with me because I can't do it alone. I think that's the conversation that we need to have with Native men." Many of the committee members believe that outdated and racist imagery in the media has contributed to the sexual and physical exploitation of Native women. "That's actually the main reason I became a photographer," MMIW visual team member and Payómkawish artist Alexis Dyer says. "Our image in the media has not been our own since the time of Columbus. Since then, we have been fetishized, sexualized and we've become this wild conquerable image in the media. These images that we have never had control over directly affect our bodies. They're how people see us." But the committee is also using art and media to reclaim their identity and bring these issues to light. Partnering with Utah County photographer Jonathan Canlas, they've started a photo project of intimate portraits of those who have lost loved ones. Their Instagram account @mmiwhoismissing is regularly updated with images of women who want their voices heard, and group photoshoots organized by Dyer and Shanidiin bring together new faces every time. "When we've had photoshoots, it's amazing what happens as these sisters of ours are hearing their stories. They haven't had space to do that before," Dyer says. And for those who aren't ready to talk about their painful experiences, the team wants their art to be a starting point for healing. "We can use art to be a symbol," Dyer says. "We can't stick the mic in front of every face of every mother because, for some people, these stories aren't ready to be out there." 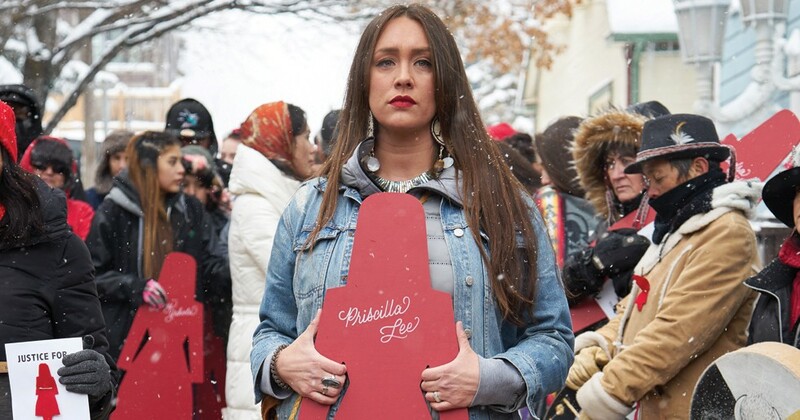 Besides the group's march at this year's Sundance Film Festival, the MMIW committee has made appearances at events, lectures and powwows across the state. The next powwow, at the University of Utah on April 6 and 7, is specifically dedicated to missing and murdered indigenous women, and organizers encourage attendees to wear red, the color associated with the movement. Both Begay and Shanidiin say they have found a sort of group therapy in the coalition—Shanidiin's aunt was murdered and her grandmother shot nearly three decades ago on the Navajo Nation. "Once we started this campaign, it's been equally as painful to be in it as it is healing, and I think those both go hand in hand," Shanidiin says. "I thought this was something that only happened to my family because I had never heard of this happening to other families. I know so many women now who have lost their women to this kind of violence." "The more I learned about it, the more prevalent it was even among my own friends," Begay says. "They never talked about it. My family doesn't talk about it." 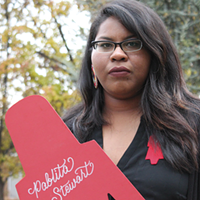 Shanidiin agrees that silence is a barrier to solving the problems facing Native communities. "It happened 30 years ago to my family but it happens every day. It's crazy," she says. "That's why we're doing this work. It's time to talk about it." Even Wind River, the film that has been lauded for bringing high-profile attention to the lack of resources for missing and murdered Native women and that has won several awards including the directing prize of Un Certain Regard at the Cannes Film Festival and best film at the American Indian Film Festival, isn't immune to scandal around the issues it's trying to address. The film was produced by The Weinstein Co., whose founder, Harvey Weinstein, has been accused of sexual assault and harassment by at least 50 women. For Begay, this reinforces the belief that the issues the MMIW committee are dedicated to are not just indigenous ones. "It's an epidemic problem across the U.S." Begay says. "We just hope to see more justice for women who are missing right now and cannot speak for themselves and for those who no longer have a voice." Mary Allen is now a part-time driver for the Skull Valley tribe, shuttling tribal members back and forth between the reservation and urban areas. She regularly passes the spot where her aunt was found all those years ago. "I would like to know what happened to her ... Just to keep that in my mind and in my heart, it's hard," she says. "In the white snow, you see the red blood there and you wonder ... I just think about it every time I go out. My grandpa passed knowing whoever killed her is either alive or dead—who knows? And he just [said], 'Well, it'll get to them someday.' So that's how I leave it. But I always remember every time." 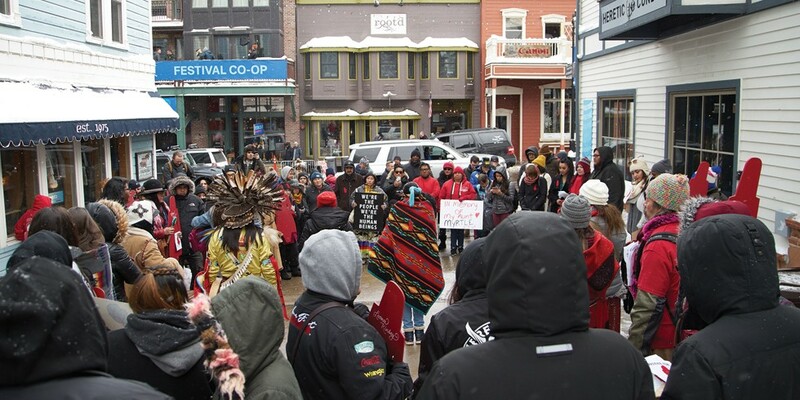 Allen doesn't regularly attend the MMIW meetings but she did participate in the march at Sundance. As the coalition started to pick up steam, she figured maybe it was time to turn a new page regarding her aunt's death. "I thought ... well, I guess it's time to move on and live," she says. "My grandpa and mom [are] with her now, wherever they're at. I guess they know the answers. But I'll never know."